The Hinckley Institute of Politics provides opportunities for students to engage with prestigious organizations in numerous ways. The institute has assisted thousands of students and continues to help students find roles in internships that connect them to government, politics and NGOs that allow them to get involved in ways that can make a difference. 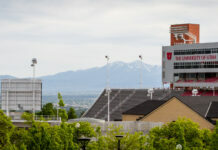 Many students have never heard of the Hinckley Institute nor interacted with its many-faceted roles on campus, but the Hinckley Institute is now located in a more central location at the University of Utah in the new Gardner Commons building. 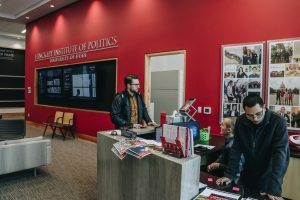 Contrary to what its name implies, the Hinckley Institute of Politics has internships available for all majors and disciplines and isn’t limited to political science. They also offer internships during every semester. Providing opportunities for internships isn’t the Hinckley Institute’s only role, however. Founded in 1965, the Hinckley Institute was created for a specific purpose. 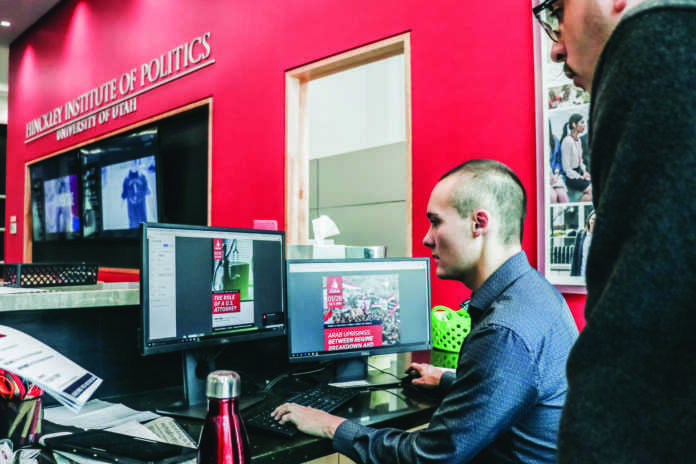 According to their website, their mission was “to engage students in governmental, civic, and political processes, promote a better understanding and appreciation of politics, and train ethical and visionary students for public service.” They do this in many ways. As mentioned, they do help students find internships, but they also have annual forums, lecture series and publications in which students can participate and offer courses at the university. Students can apply for internships at the local level, national level and even at the international level. When students become involved with the Hinckley Institute, they become a part of a rich legacy that includes many influential people. Some of these people include Karl Rove, who was the chief strategist to President George Bush, former Utah Sen. Pat Jones and Rep. Ben McAdams. Students can also attend the Institute’s forums on a variety of topics. In January, there are forums on the environment, Syria, law, Title IX, civic engagement and Arab uprisings. There is always something to talk about and the Hinckley Institute tries to get students involved in the best way possible: by inviting people who are experts on each topic to discuss and engage with students who have a desire to learn. The Hinckley Institute is continually announcing new forums and events both on their website and on Instagram. The forums are free and open to the public, which allows the Hinckley Institute to benefit the community at large and not just the U’s campus and its students. 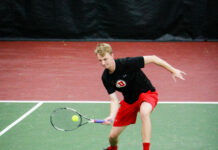 These forums and panels were the way that Nick Cockrell, a senior studying history and political science who currently works as student staff for the Hinckley Institute, first got involved with them. Students can also get involved with the Hinckley Institute by submitting work to be published in the Hinckley Journal of Politics. The Hinckley Institute also sponsors some courses on campus. These courses include campaign management, political forum series, capital encounter, legislative internship seminar and the Ambassador John Price think tank. Once again, the Hinckley Institute offers internships locally, nationally and internationally. Students who wish to intern with the Hinckley Institute must first fill out their application and then meet with the program director. Once the student is accepted, the application is sent to whichever host office the student desires. Many students believe that doing an internship somewhere nationally or abroad is outside the realm of possibility for them, but it is possible for almost anyone — especially with the help of the Hinckley Institute. Their prestigious name and the fact that they require students to register for a university course while interning sets them apart from other institutions and have allowed for partnerships with companies that continue to take the Institute’s interns because of their experience with students at the U. In addition to that, the Hinckley Institute offers opportunities for scholarships or paid internships so that interning can become a feasible goal for anyone. 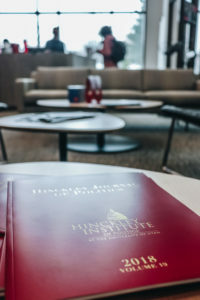 The Hinckley Institute offers opportunities for students to participate on any level of activism or involvement that they wish whether that be by helping them to land a respectable internship, providing a forum for discussion of controversial and important topics, allowing student involvement in publications or sponsoring courses for U students. Each of these opportunities is beneficial for students in their own way. Miranda Best, Hinckley’s Outreach Coordinator and former intern said, “Throughout the numerous programs that Hinckley has to offer, students are able to learn more about themselves and their passion, develop leadership skills, and build a network that can last a lifetime.” One theme across the board among those involved with the Hinckley Institute is that they wish they had utilized the resources and opportunities earlier.